MacBook Pro 13", 15", 17"
MobileStor Performance - Internal Hard Drive Upgrade Kits for your MacBook Pro - up to 2TB! 16X Blu-ray Recordable Desktop Drive - USB 3.0 Connectivity (Compatible with USB 2.0). Includes Mac Blu-ray Player Software! Fovea Extreme Portable Blu-ray Recordable Drive - Portable, USB Slot-loading Blu-ray Recordable Drive. Includes Mac Blu-ray Player Software! Internal Blu-ray Recordable Drive - With Blu-ray Player Software for Unibody MacBook Pro 13", 15", and 17" Portable USB Blu-ray Player/SuperDrive - Portable, Slot-Loading, and compatible with all Macs! Includes Mac Blu-ray Player Software! 8X DVD±R/RW SuperDrive - For Unibody MacBook Pro 13", 15", and 17"
MCE USB SuperDrive - Double/Dual Layer USB 2.0 SuperDrive just $49.99! 65W AC Adapter Power and Charge your PowerBook! Internal Blu-ray Recordable Drive - Internal Blu-ray Recordable Drive upgrade for Mac mini. Includes Mac Blu-ray Player Software! 16X Blu-ray Recordable Desktop Drive - USB 3.0 Connectivity (Compatible with USB 2.0). Includes Mac Blu-ray Player Software! 8X SuperDrive Upgrade - Straight replacement for original SuperDrive. Fovea Extreme Portable Blu-ray Recordable Drive - Portable, USB Slot-loading Blu-ray Recordable Drive. Includes Mac Blu-ray Player Software! Portable USB Blu-ray Player/SuperDrive - Portable, Slot-Loading, and compatible with all Macs! Includes Mac Blu-ray Player Software! 16X Blu-ray Recordable Desktop Drive - USB 3.0 Connectivity (Compatible with USB 2.0). Includes Mac Blu-ray Player Software! Internal Blu-ray Player / SuperDrive Upgrade for iMac - Internal Blu-ray Player / SuperDrive for iMac. Includes Mac Blu-ray Player Software! Fovea Extreme Portable Blu-ray Recordable Drive - Portable, USB Slot-loading Blu-ray Recordable Drive. Includes Mac Blu-ray Player Software! Portable Blu-ray Player/SuperDrive - Portable, Slot-Loading, and compatible with all Macs! Includes Mac Blu-ray Player Software! The fastest, most versatile Blu-ray recordable drive available for the Mac. Now you can record your own high-definition Blu-ray Video discs using 25GB single-layer , 50GB dual-layer, up to 128GB quad-layer BD media. Add a second internal hard drive to your MacBook, MacBook Pro or PowerBook G4, allowing up to 4TB (yes, 4 terabytes!) of internal hard disk space in your MacBook Pro or MacBook! Burn data or video to CD or DVD discs at up to 20x speed using any of the popular iApps you frequently use already. Upgrade your current PowerBook's optical drive to a lighting fast 8X SuperDrive with Double Layer Support. Burn DVDs, burn CDs, AND play DVDs... all from within your PowerBook! 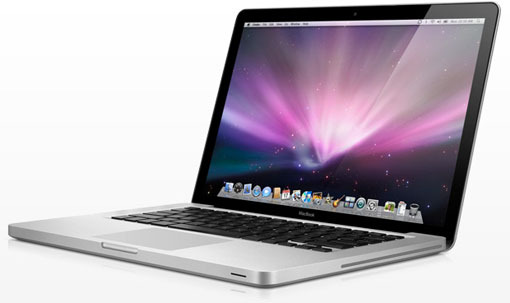 Upgrade your PowerBook or iBook with a high-performance hard drive for up to 250GB of internal storage. Includes cloning/backup software, and installation guide and tools needed to perform the upgrade. Record DV or HDV video Direct to Disk... as you shoot! No more time-consuming capture! Let MCE install your new MCE merchandise for a no-hassle upgrade or replacement of your broken/outdated equipment. Reasonable rates and quick turnaround!